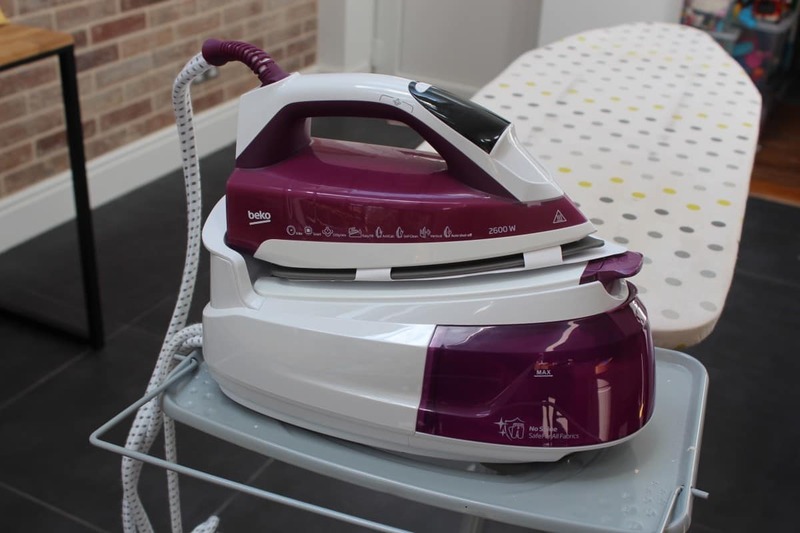 A few weeks ago I shared our love for the new Beko Steam Station Steam Generator Iron and some of our top tips for making ironing as easy as possible. Now, thanks to Beko, you have the chance to win one of these fantastic irons for yourself. The Beko Steam Station has a setting that sets the optimum steam and temperature settings for every fabric and SteamXtra technology which makes a breeze of even the most stubborn of creases – whilst protecting your laundry too! It has a Smart Mode which is perfect for when you’re not sure which temperature and steam level would give you the best results, automatically selecting the best settings for your fabrics. It can even steam continuously if you have something that’s really creased, taking the time and effort out of ironing. The Steam Station has a digital display – clearly showing when it needs to be descaled and when the water level is running low. Everything now is turning digital and it’s only right that irons join the digital era too – making the Steam Station the perfect modern choice. It’s also pretty compact compared to other steam generator irons making it a great option for any home. We’ve loved using the Beko Steam Station and it has made even the most unwilling ironer – me – willing to have a go. If you would like to win this fantastic machine then all you have to do is complete at least one option on the Rafflecopter below. Good luck! The digital display when the iron need descaling. This is quite great. Before I suffered a stroke , which has taken away the use of my left arm, I used to complain about the amount of ironing I had as a result of having four children, but now I would give anything to be able to do the ironing! The fact that it is compact. I love the Smart Mode feature! This iron sounds great. SteamXtra technology which makes a breeze of even the most stubborn of creases, sounds really good to me. the smart mode sounds really handy. I’ll never burn anything again !!!!! I love the digital display. The digital display to show when it needs de scaling , I am terrible at forgetting to do it. The Smart Mode sounds really cool. smart mode would be fab! My favourite feature would be the Smart Mode. I love the easy to use digital display as it is great to make looking after the iron that bit easier. I love a compact iron, so much easier to store. Living in a very hard water area, the display showing when descaling is needed sounds like a brilliant idea. I like how compact it is! The Smart Mode seems like a really great idea plus I love that it’s more compact as some are huge! The descale indicator would be great as we live in a hard water area. Even using filtered water doesn’t stop it! I accidentally put my Instagram name in the Youtube box! Haha. I am following on both though. Definitely the smart mode feature, would make life a lot easier! I love all the features especially the fact that it tells you when it needs to be descaled! 🙂 Very clever! This Beko iron looks super cool, i love the fact that it shows when it needs descaled! Brilliant just brilliant so many awesome features. I love the level of steam it can generate and keep generating without having to stop and fill it up. Makes ironing so much faster. There’s loads of great features, but the compact design makes it very appealing to me! The smart mode feature sounds really useful for me! I like that it can steam continuously if something is really creased. I used to have a steam generator iron & you had to keep the button pressed which was a pain. The smart mode. My steam iron has just died so this would be ideal! I really love the digital display. Clearly gives me all the information I need. Smart mode sounds fantastic. Could get us out of some pickles. I like the sound of the Smart Mode, sounds very useful. I think the smart mode is the best feature of the iron. The Smart Mode feature sounds fantastic! I love the digital display telling you when it’s time to descale as you can easily forget! The smart mode – great for different fabrics. I like the fact that it has a Smart Mode. I have no idea what the correct settings should be for different fabrics. The digital display has to be the best feature. I have had my iron for years and it is acting up on me now the last few weeks. I am in need of a new one. The digital display looks cool! The display which tells you when it needs to be descaled! The digital display looks amazing! My favourite feature is the digital display which clearly shows when it needs to be descaled. The display that indicates the iron needs descaling. The digital display showing when the water needs topping up. Normally you never know so this is a great feature I’ve not seen on other irons before. The Digital display is great ! How it sets the optimum steam and temperature settings for every fabric. I’ve damaged a lot of clothes by using a hot iron, but it seems that this fantastic iron might be Marina proof. I love the ‘Smart Mode’ feature! I’m not one for adjusting the iron temperature and have admittedly ruined a few garments through not doing this! I like the fact that it has a digital display to prompt me to descale and refill. The Smart Mode function plus the amount of steam it generates to zap those creases in one go, it would save loads of time and more tie to spend with the family. The digital display – i never know when my current iron needs descaling or filling up with water until i end up running on empty!! Would love one of these. Save all those trips to the tap. Knowing I’ll be told when it needs to be descaled. The Smart Mode features sounds like it will save a lot of my clothes! The digital display to show when it needs descaling is a brilliant feature. Our water is sooo hard here, this would be a godsend. Smart Mode – it sounds great! I like the idea of the Smart Mode feature. The Smart mode is my favorite feature, will be very handy as i have a habit of cutting off labels….so i loose what setting o should be using when ironing! Just what i need really! The fact that the steam generator gets rid of stubborn creases and is easy to use (important with lots of school uniforms, work shirts, etc. in our household). I love the digital display! Definitely the digital display, that’s something different to what I’ve had before. 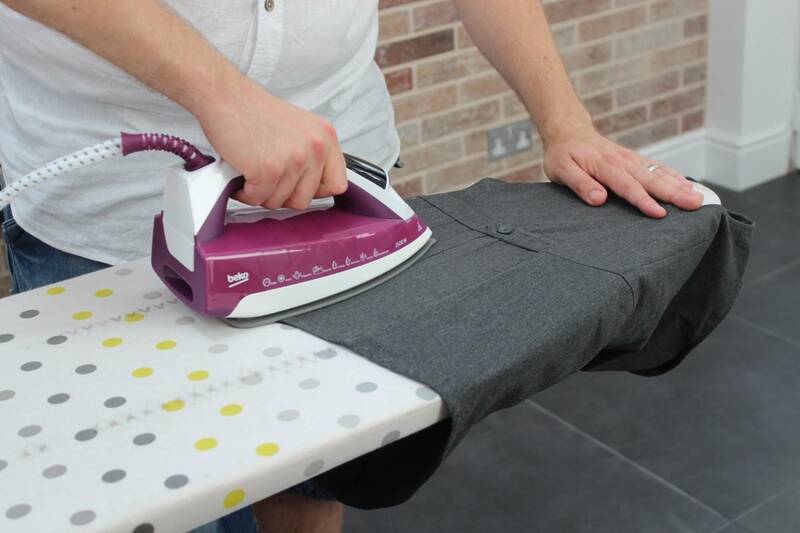 I like the idea of the smart mode feature, I’ve never owned a iron that has that before. It has to be the smart mode for me. I tend to cut out my youngest daughters tags because they irritate her then its all about trial and error as to what setting to use. Everything about this iron appeals to me! The Smart Mode feature sounds amazing as I must be honest, I am not always sure what temperature and setting certain fabrics should be ironed on! Best feature for me is automatically selecting best setting for the fabric. My favourite feature is the digital display – I’d never forget to descale! Smart Mode cos anything that makes life easier is for me! The smart mode feature sounds fantastic. This would make a job I hate more bearable. The Smart Mode is definitely a plus for me. Love the sound of the smart mode. Great prize! Thanks! I love the digital display. very handy! the smart mode feature looks great – no more runing clothes by accident! Love the fact it tells you when it needs descaling – I’m useless at keeping that up! The SteamXtra Technology. Would make ironing so easy! The digital display especially showing when it needs to be descaled. With 4 children ironing is my most time consuming task and a smarter iron would make this much easier. The digital display is perfect for me! !